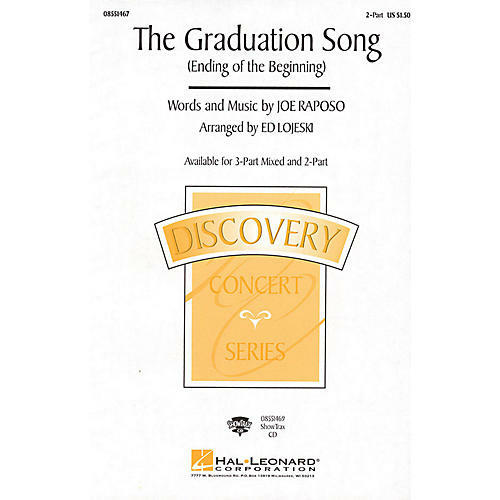 From the legendary Joe Raposo, this wonderful song is ideal for graduation or any end-of-the-year event. Designed for the young choir with easy harmony and echo-like melody lines, your performance will touch the hearts of all who hear. Optional oboe or other C instrument obbligato.Available separately: 3-Part Mixed, 2-Part and ShowTrax CD. Performance Time: Approx. 3:00.